Here’s the most exciting new motorcycle concept we’ve seen in a while—and it doesn’t come from an in-house design studio. It’s the work of two young English designers, Roy Norton and Tom Kasher, in a collaboration with Triumph Motorcycles and Barbour Outdoor Clothing. 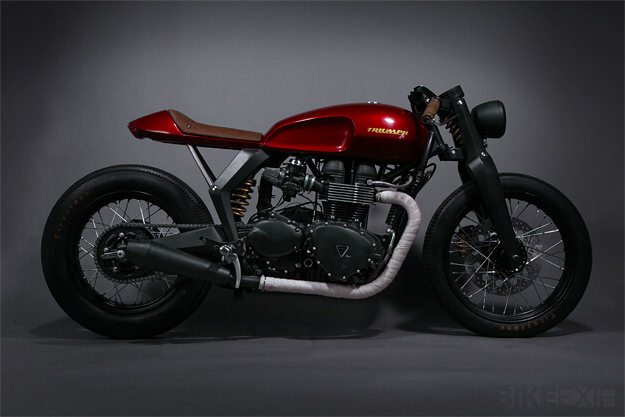 The base platform is the Triumph Bonneville, heavily restyled and fitted with girder forks.